Montana’s Smith River is a remarkable place. Located in west-central Montana, the Smith River drainage is a location of great recreational, ecological and cultural value. 70% of the land in the Smith River drainage is privately owned. The U.S. Forest Service and State of Montana own the balance. Public access to the river is limited. It is the only river in Montana that has a lottery and requires a recreational permit to float the corridor. The Smith River is under threat. In 2014, a foreign owned mining company, Sandfire Resources, Inc. applied for a copper mine exploration permit on a major headwater tributary to the Smith River, Sheep Creek. Sandfire proposes to mine in a sulphide ore body, which makes this mine a high risk for producing acid mine drainage. Acid mine drainage is environmentally devastating and requires permanent water treatment. 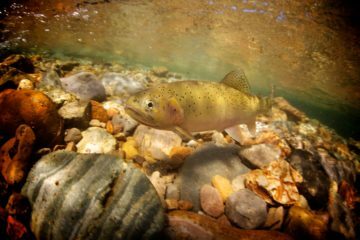 Submit official comments advocating for the Smith River to the Montana Department of Environmental Quality by emailing TintinaDraftEIS@mt.gov. Find out more ways to help here.